There are just those days when you have good food looking right at you and you just don’t know it until you try. Yesterday was one of those days for me. 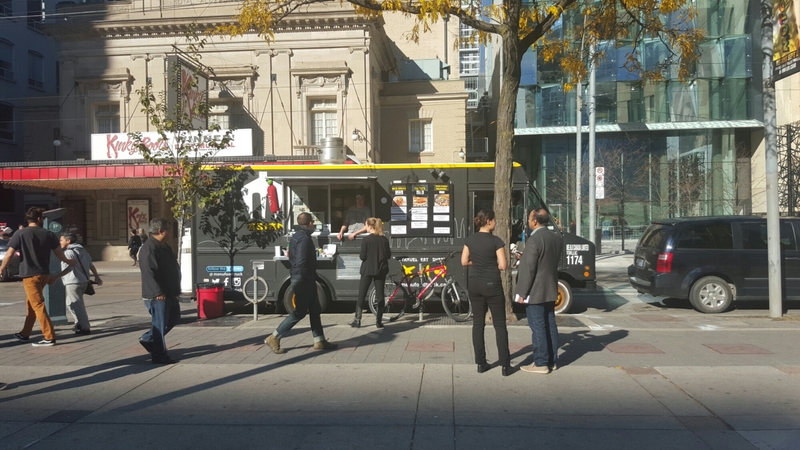 I happened to be looking for a particular food truck, using the Toronto Food Trucks site, but couldn’t find it. Discouraged, I started venturing around the area. “You look hungry!” said one of the girls standing beside this particular food truck (Me.N.u – that’s cute…Me & You) that didn’t appear to be listed on the site. Indeed, I was. “Why don’t you try this? ” she cheerfully asked as she handed me a voucher, “Free food if you install this app on your phone and register!” Ok, one magic word, FREE, was spoken. Looking at the rice balls she was eating while handing out the voucher made me more curious. So I pored over the menu while the girl was talking to me about the truck. 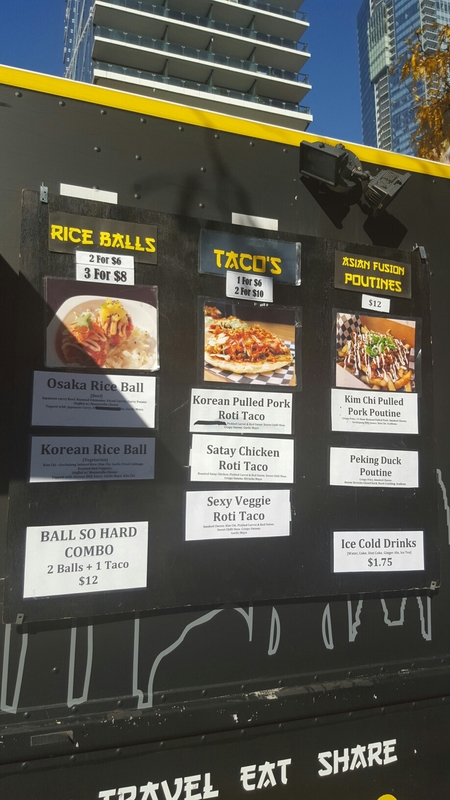 Apparently, the owners of the Me.N.u Food Truck travel to Asia during the winter to get ideas about what to offer in the menu for the next season. Continuing to check out the menu, a target was spotted…mmm! PORK! The girl didn’t have to tell me more. 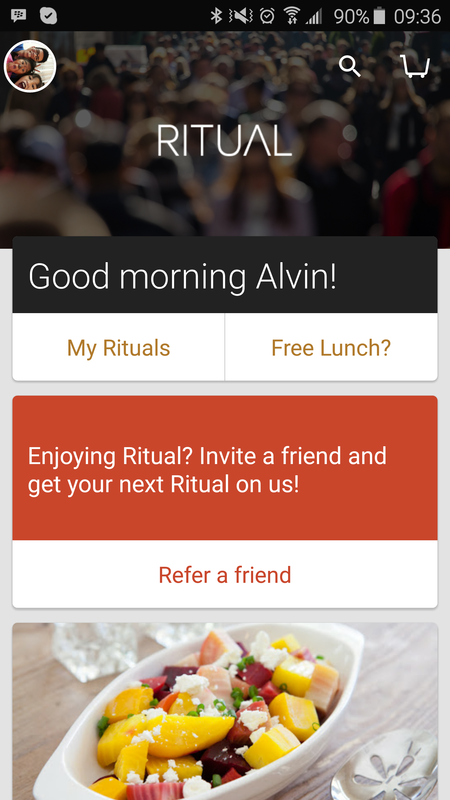 The process of downloading and installing the Ritual app was simple. I found it in the Google Play Store. The app does take your credit card info when you first open the app – this way you can place and pre-pay your order and the order should be prepared, ready for you to pick up on your arrival. 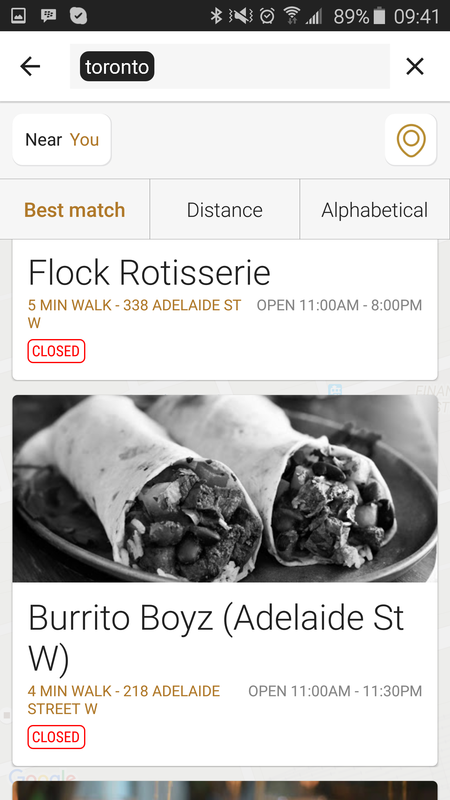 You can also use the app to find restaurants (and participating food trucks) near you. 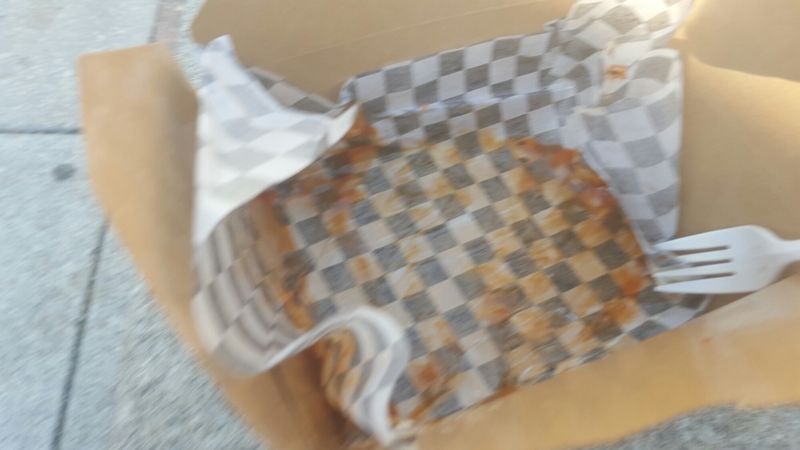 This could explain why Me.N.u did not appear on the food truck site. The only downside – Ritual, for now, appears to be listing restaurants in Chicago and Toronto only. Anyways, it was surprising to see how many local shops are already hooked into this app! This might prove to be more useful (for finding good lunch/snack places) than I thought! She wasn’t kidding! 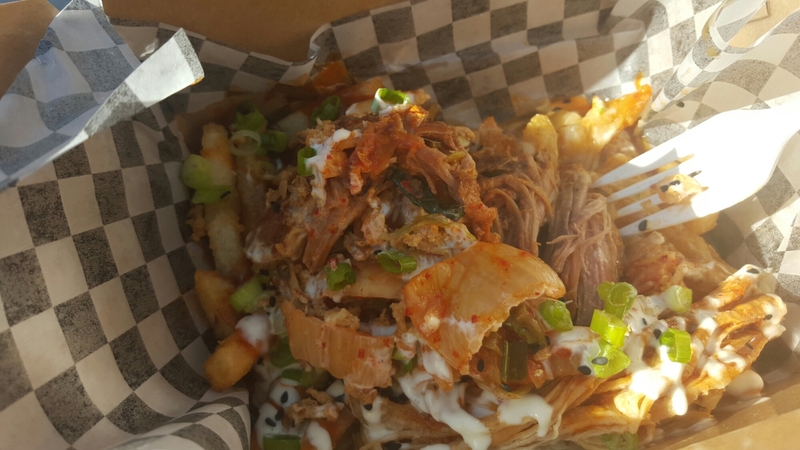 What appear to be ordinary looking Costco french fries underneath some gravy and cheese curds are suddenly transformed with the sweet and tart (not to mention, expectedly spicy) Korean Kimchi, and delicious chunks of pulled pork. Who would have thought that this was such a delicious combo? Maybe I should have went for a second helping, since this came free from Ritual, but I couldn’t, I was already full and very satisfied! I can’t wait for that truck to come around again to try their other offerings. This definitely was the highlight of my day. Thank you to the girl who caught me passing by, Ritual, and Me.N.u – You’ve got me hooked! 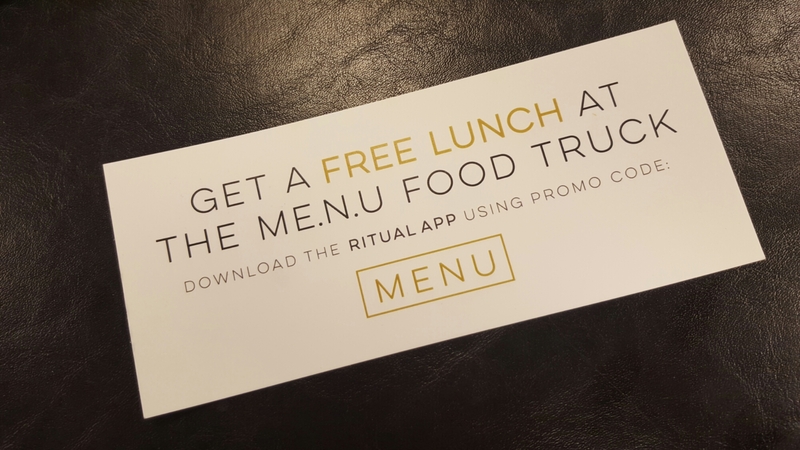 Find out more about Ritual here! 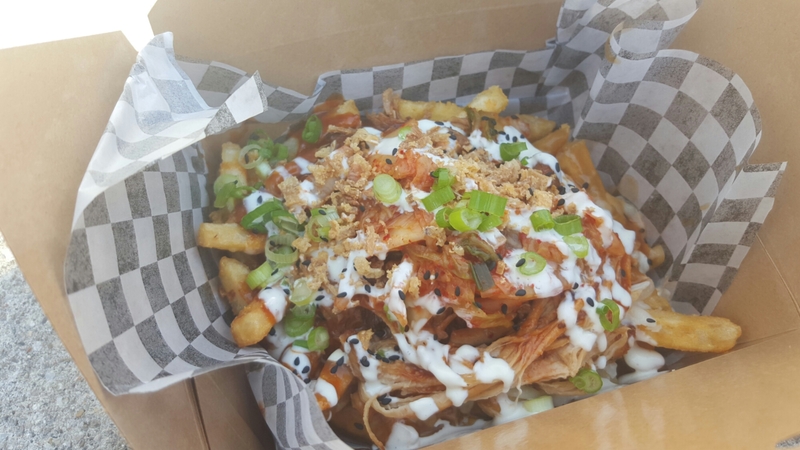 Find the dirt on the Me.N.u Food Truck, here!